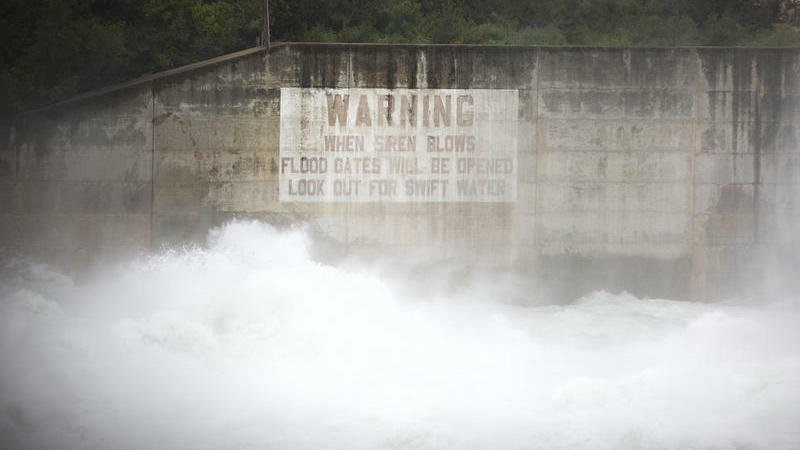 Austin, Texas, Issues Citywide Boil Water Notice After flooding washed untold volumes of soil and silt into the river system, all three of Austin Water's drinking-water plants are running at 1/3 to 1/4 of their normal capacity. Flooding in Austin, Texas, has washed untold volumes of soil and silt into the river system, says Austin Water Director Greg Meszaros. In Texas, the city of Austin's water utility has issued a citywide boil water notice as it struggles with the impact of debris from flooding on its water treatment capabilities. "The high level of debris, silt and mud requires extended filtration that slows the process of getting treated water into the system," Austin Water said in a press release. "To provide necessary water pressure for fire protection, plants must distribute water at treatment levels not typical of the utility's high standards for consumption." The city is telling residents to reduce water use overall and to boil any tap water intended for consumption for at least 3 minutes in order to kill any bacteria that may be in it. The utility says there have been no positive tests for "bacterial infiltration" of the water system so far. This is the first time a citywide boil water notice has been issued in the history of the water utility. "This isn't a conclusion we came to lightly," says Austin City Manager Spencer Cronk. "Unfortunately, this is simply a case of Mother Nature throwing more at the system than the system can currently process." Unfortunately, this is simply a case of Mother Nature throwing more at the system than the system can currently process. Austin Water Director Greg Meszaros says once the flood started, it washed untold volumes of soil and silt into the river system. All three of Austin Water's drinking-water plants are currently running at 1/3 to 1/4 of the capacity they would normally run. "It's been a real struggle," Meszaros says. "We haven't had a violation yet, but we believe one is probable, and we wanted to issue this boil water notice ahead of all of that." Normally, Austin Water is able to produce more than 300 million gallons a day. But the utility has only been able to produce a little more than 100 million gallons of water for the past two days, which is about how much Austin customers use. Austin Water will lift the boil water notice once they are able to stabilize the treatment systems. "I don't know when it will end. We'll just have to take this day by day and hour by hour to see [how] our plants perform," Meszaros says. Austin Public Health says all restaurants and food providers are aware of the water issues, and food inspectors will be making their way across the city. Area hospitals and schools have also been notified. Austin Independent School District is encouraging students to bring water bottles with them. In an email Monday morning, the school district also said all cafeteria managers are following boil instructions and that lunch menus have been adjusted to ensure safety. That includes eliminating all salad bars for now.